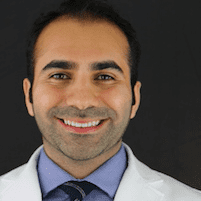 Dr. Homam Saleh, DDS and his staff at World Trade Center Dental Group offer dental cleanings and other procedures aimed at preventing gum disease and tooth loss. The doctor provides oral healthcare in the Financial District of downtown Manhattan, New York City, New York, 10004 and residents of the surrounding communities. What Does a Dental Cleaning Consist Of? A dental cleaning normally involves a thorough cleaning of the teeth, gums, and tongue, an overview of the condition of the mouth, and taking care of any abnormalities that may be present. Doctors will often recommend a fluoride treatment to prevent dental caries and treat early stages of dental caries that does not need surgical intervention. Fluoride also can be used protect the sensitive enamel of the teeth. Once the cleaning of the teeth has been completed, the doctor may schedule additional appointments if other work needs to be done. The doctor will also spend time discussing the patient's oral health and any areas that may need improvement. 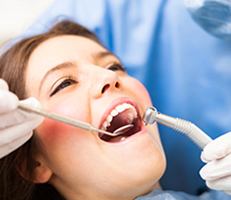 How Often Should a Person Have Their Teeth Professionally Cleaned? It’s recommended for a patient to have their teeth cleaned twice a year alongside periodic oral exams. If a person has extenuating health issues that involve their teeth and the overall health of their mouth, gum disease, or have risk factors for gum disease, the dentist may recommend seeing the patient once every three months for teeth cleaning for Periodontal Maintenance. When Should a Child Have Their Teeth Cleaned for the First Time? The dentists recommend that children receive their first dental check up shortly after their first birthday. Bringing the child to the dentist early allows them to build a relationship that is based on trust. Small children often fear the dentist because of stories they may have heard. If the dentist becomes a familiar face, a child is much less likely to fear them. While a child will learn most of their oral health habits from their parents, visits to the dentist will help, offering them encouragement and motivating them to continue to do their best. Good dental checkups can also help to boost self-esteem and make it more likely that they will continue to care for teeth as they get older.